Hi there! My name's Dayle, and in my spare time I like to write books to help people learn web development skills. My books are well-known for being witty, silly, but incredibly informal. They are extremely accessible to both beginners and experienced developers alike. Here you'll find links to read all of my books online. Please do remember that I write these resources in my spare time. So if you like what you see, please consider buying a copy of the book over at Leanpub.com. 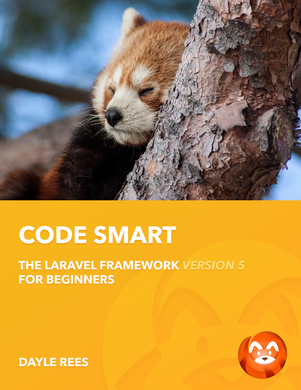 Code Smart is the next evolution of my Laravel PHP series. This book covers version 5 of the framework, and is worth getting excited over! Expect lots of cheesy jokes, and knowledge bombs. PHP Pandas is a syntax book for everyone. 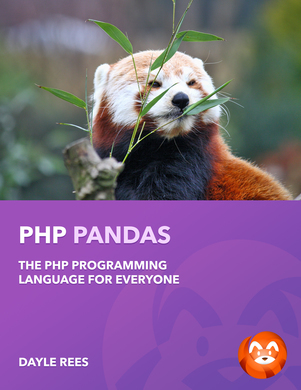 It will help people of all experience levels learn the PHP programming language. I've tested it on a number of non-technical guinea pigs and have had wonderful results. If you want to learn the PHP programming language, and to have a little fun at the same time. Then look now further than PHP Pandas. Looking for a better way of managing your PHP application's dependencies? Enter Composer, king of the package mangers. This title will help you learn how to build applications that are powered by Composer. Leverage dependency-management, autoloading and other useful tricks. Start reading now! PHP Patterns is a design patterns, tips and tricks book for developers of all levels of experience. Learn how patterns can help you to solve architectural problems in your own applications, as well as tips and tricks that will make building your projects a simple task. 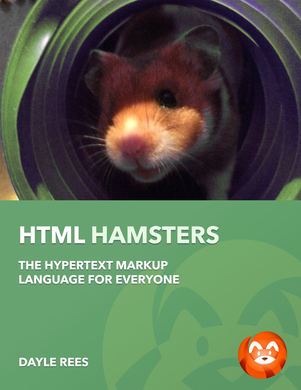 HTML Hamsters will teach you how to create web sites using the HyperText Markup Language. It's a book for everyone. If you have no idea how to create websites, then you'll find this is the perfect place to start. Do you like hamsters? Do you like web development? Click the button, go on, I dare you. Code Happy was my first-ever book. 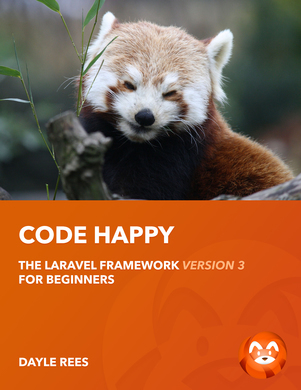 It's a little rought around the edges, but it has helped thousands of developers learn version 3 of the Laravel PHP Framework. If you're still using version 3 of the framework, then go ahead and take a look. You'll find a few funny jokes in there too. That is, if you have a twisted sense of humour like I do! 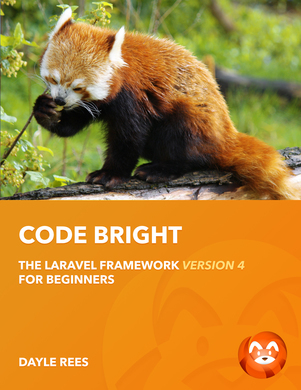 Code Bright is my best-selling book for the Laravel PHP Framework version four. Thousands of people have learned how to build complex web applications by reading Code Bright. Don't waste any more time, click the link, and start learning Laravel right now!